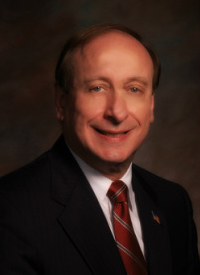 Stephen J. Cozza, M.D. is a graduate of the United States Military Academy at West Point, New York. He received his medical degree from the George Washington University School of Medicine and Health Sciences. He completed his residency in General Psychiatry and fellowship in Child and Adolescent Psychiatry at Walter Reed Army Medical Center in Washington, DC. Dr. Cozza is a diplomate of the American Board of Psychiatry and Neurology in the specialties of General Psychiatry and Child and Adolescent Psychiatry. He has served in a variety of positions of responsibility in the Department of Psychiatry at Walter Reed Army Medical Center to include Chief, Child and Adolescent Psychiatry Service, Program Director of the Child and Adolescent Psychiatry Fellowship Program and Chief, Department of Psychiatry. He retired from the U.S. Army in 2006 after 25 years of military service. He currently serves as the Associate Director, Center for the Study of Traumatic Stress, Uniformed Services University, as well as the Director of the Center's Child and Family Program. Dr. Cozza's professional interests have been in the areas of clinical and community response to trauma, and the impact of deployment and combat injury, illness and death on military service members, their families and their children. He was instrumental in organizing and executing the initial mental health response to the September 11th 2001 attack on the Pentagon. Under his leadership, the Walter Reed Department of Psychiatry spearheaded the initiative to provide mental health services, support and follow up to the many injured service members, their families and their children who receive medical treatment. As the Associate Director of the Center for the Study of Traumatic Stress, Child and Family Programs, Dr. Cozza has highlighted the impact of deployment, injury, illness and death on the children and families of military service members. He is principal investigator on several congressionally funded grants examining the characteristics of child neglect in military communities, the impact of parental combat injury on children and families, the effectiveness of a family based intervention with combat injured families (FOCUS-CI), as well as the impact of military family bereavement. Dr. Cozza serves as a scientific advisor to several national organizations that focus on military children and families, as well as the broader experiences of traumatized or bereaved children. Mary Fetchet is the driving force behind Voices of September 11th (VOICES), an organization she co-founded in 2001 following the death of her 24 year old son Brad at the World Trade Center. Her unique background as a mother of a victim, along with 20 years of expertise as a clinical social worker, shaped VOICES creation of a new paradigm in providing long-term support services. Using social work practices, she guided the development of programs that provide continuity of care and promote resiliency in the lives of victims' families and survivors. As a family member, she was instrumental in campaigning for the creation of the 9/11 Commission and the implementation of reforms based on their recommendations. Under her leadership, VOICES also created the Living Memorial project, an online digital archive of 70,000 photos and personal keepsakes, which is also a core component of the In Memoriam exhibit at the 9/11 Memorial & Museum in New York City. Today, Ms. Fetchet is dedicated to establishing VOICES Center of Excellence for Community Resilience to help communities heal after other acts of mass violence or natural disasters. 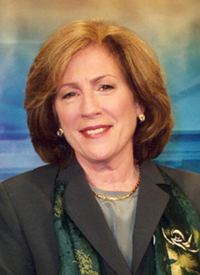 An expert on the long-term needs of victims and survivors, mental health care, preparedness, and national security reforms, she has made hundreds of appearances on national television and at conferences in the U.S. and abroad, and contributes regularly to print and radio. Dr. Stephen Flynn is Professor of Political Science with faculty affiliations in the Department of Civil and Environmental Engineering, and the School of Public Policy and Urban Affairs at Northeastern University in Boston, Massachusetts. He is also Director, Center for Resilience Studies Co-Director of the George J. Kostas Research Institute for Homeland Security. Before arriving at Northeastern in 2011, he served as President of the Center for National Policy and spent a decade as a senior fellow for National Security Studies at the Council on Foreign Relations. In 2008 he served as the lead homeland security policy adviser for the Presidential Transition Team for President Barack Obama. Dr. Flynn was an active duty commissioned officer in the U.S. Coast Guard for 20 years, including two tours as commanding officer at sea. He is the author of The Edge of Disaster: Rebuilding a Resilient Nation (Random House, 2007), and America the Vulnerable (HarperCollins 2004). He holds research affiliations with the Wharton School's Risk Management and Decision Processes Center, Columbia University's National Disaster Preparedness Center, and the Homeland Security Studies and Analysis Institute. In September 2014 he was appointed by Secretary of Homeland Security Jeh Johnson to serve a member of the Homeland Security Science and Technology Advisory Council (HSSTAC). 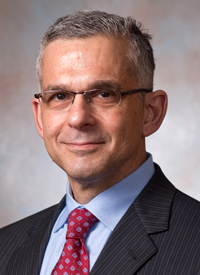 He also serves on the National Security Advisory Board for Argonne National Laboratory. He holds the M.A.L.D. and Ph.D. degrees from the Fletcher School of Law and Diplomacy, Tufts University and B.S. from the U.S. Coast Guard Academy. Susheel Gupta is currently the Vice-Chairperson of the Canadian Human Rights Tribunal. He is on leave from the Public Prosecution Service of Canada. 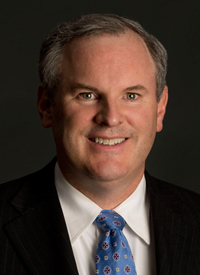 Prior to his current position he worked with the Department of Justice War Crimes Section, while a majority of his career has been spent as a Federal Prosecutor and Computer Crime Advisor. 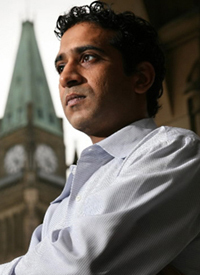 With respect to National Security and Intelligence issues, Susheel was one of the co-counsels in Canada's first prosecution under the Anti-Terrorism Act. On a more personal note, Susheel has been actively involved in issues concerning national security, terrorism and aviation security. He has also been active as an advocate for victims of crime. He was 12 years old when his mother was murdered on board Air India Flight 182. She was only 37 at the time. Since that tragic day, he has been a Spokesperson for the Victims' Families Association. He was one of the individuals who were a driving force behind the efforts calling for a full Public Inquiry into the bombing. It was this terrorist incident and tragedy that led him down the path to a career working in the public service. Susheel is the co-Chair of the Kanishka Project Steering Committee which has been overseeing a $10 million dollar grants budget towards research that will assist first responders, victims of crime and terrorism and strengthen Canada's counter-terrorism and national security agenda. Susheel brings a unique and diverse background on issues that are relevant to all of us and offers many perspectives due to his security and justice system expertise and experience as a Canadian victim of terrorism. Dr. Haen has been working clinically with people impacted by interpersonal, developmental, and familial trauma for 15 years. He provides acute crisis intervention following acts of violence and atrocity, trains crisis teams and schools in responding to mass trauma events, and has consulted with organizations on the implementation of trauma-informed care. He was particularly active in the treatment of children, families, and service professionals in the New York area following the 9/11 terrorist attacks. 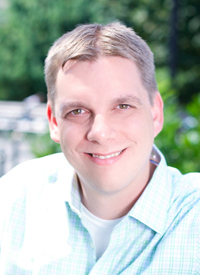 Dr. Haen is a graduate adjunct faculty member at NYU and Lesley University. He has published widely, and is contributing editor of the 2011 book Engaging Boys in Treatment: Creative Approaches to the Therapy Process and contributing co-editor of Clinical Applications of Drama Therapy in Child and Adolescent Treatment. He has a full-time private practice in White Plains, New York where he treats children, adolescents, adults, and families. For 15 years, he worked as a clinician and supervisor in mental health agencies and hospitals, most recently serving as Clinical Director of Adolescent Services for Kids in Crisis and Assistant Clinical Director at ANDRUS. He serves on the Editorial Boards of The International Journal of Group Psychotherapy and The Arts in Psychotherapy. In addition, he is a Fellow of the American Group Psychotherapy Association, where he co-chairs the Child & Adolescent Special Interest Group and the Community Outreach Task Force, a group that responds to trauma events in diverse communities. 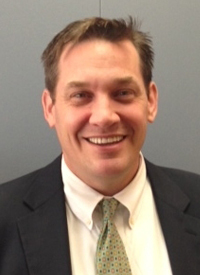 Liam Lowney began working in the field of Victim Services in the Middlesex District Attorney's Office in 1998 as a Victim Witness Advocate. During his time as an advocate he assisted victims of domestic violence, sexual assault, and homicide to gain access to services and the rights that they are entitled to in the criminal justice system. In January of 2007 Liam was appointed as the Chief of Victim and Witness Services by Attorney General Martha Coakley overseeing the office's victim witness advocates and Victim Compensation and Assistance Program. He served as the Attorney General's Designee to the Victim and Witness Assistance Board and advised her on policies impacting victims of crime. Throughout his career Liam advocated for changes in policy that impact crime victims including gun safety legislation, the Attorney General's updates to the victim compensation and assistance statute, and the Human Trafficking Law passed in 2011. In September 2012 Liam was appointed by the Victim and Witness Assistance Board to lead the Massachusetts Office for Victim Assistance as the Executive Director. As MOVA's Executive Director Liam increased access to training for victim service providers and secured $8.3M in funding for services for survivors of the Boston Marathon Bombing. Under Liam's leadership, MOVA administers federal Victim of Crime Act (VOCA) funding to support free services for victims of crime and regularly informs public policy impacting crime victims. In 1994, Liam's sister Shannon Lowney was murdered while working at the Planned Parenthood clinic in Brookline, MA. Since that time, Liam has served as an advocate and spokesman addressing violence, training professionals and empowering survivors. Joseph C. Napoli, MD is a physician/psychiatrist, advocate, author, clinician, educator, executive, professional leader, media consultant, and public speaker. He is a Diplomate of the American Board of Psychiatry and Neurology, Board Certified in Psychiatry, and a Distinguished Life Fellow of the American Psychiatric Association (APA). In addition to being a former volunteer firefighter, he is a certified Disaster Response Crisis Counselor (DRCC) for the State of New Jersey and a former Disaster Mental Health Services volunteer for the American Red Cross of Northern New Jersey. He has responded to various crises and disasters including aviation crashes, bank robberies, fires, floods, hurricanes and motor vehicle crashes. In 2003, he received the APA Bruno Lima Award in recognition of his outstanding contributions to the care and understanding of the victims of disasters. He is Past President of the New Jersey Psychiatric Association (NJPA), a district branch of the APA. From 1998 to 2006, as the Chairperson of its Disaster Preparedness Committee, he led the development of a statewide disaster psychiatry program. The Assembly of the APA commended NJPA for "exemplary service rendered in response to the attack on America September 11, 2001." As a community volunteer, he served on the Fort Lee School System Community Crisis Response Team from 1994 to 1999 and was a member of its Security and Crisis Response Council from 2005 to June 2007. The New Jersey Emergency Management Association honored him with its Humanitarian Award for his dedicated service and volunteerism. In 2004-2005, he served on the Emergency Preparedness/Trauma Advisory Committee for the New Jersey Mental Health Task force commissioned by Governor Richard J. Codey. He received a Department of Psychiatry Outstanding Teacher of the Year Award at the College of Physicians and Surgeons of Columbia University, where he is an Assistant Clinical Professor of Psychiatry. In addition, he is the recipient of the APA Nancy C. A. Roeske, M.D. Certificate of Excellence, "in recognition of outstanding and sustained contributions to medical student education." He authored a chapter for Conquering Chronic Pain After Injury: An Integrative Approach to Treating Post-Traumatic Pain and for Disaster Psychiatry: Intervening When Nightmares Come True. He has given over 110 lectures on the topics of posttraumatic stress, disaster and threat behavior, resiliency, and disaster mental health; designed and taught many courses, and organized and directed conferences including "Disasters and Traumatic Stress, To Debrief or Not To Debrief: A CME Symposium on Early Interventions," a full day educational activity for disaster mental health professionals in the NJ-NY region on May 19, 2001. Dr Napoli has been quoted in print media includingMen's Health, Real Simple, Self, and various newspapers, and interviewed on CBS-TV, CNBC, WOR-TV, WPVI-TV, by numerous radios stations, and MSNBC including a live studio interview by Contessa Brewer, Anchor/Host, Caught on Camera during the rescue of the 33 Chilean miners on the mental health aspects of their being trapped. Dr. Napoli received his bachelors from Fordham College in New York and his medical degree from Georgetown Medical School in Washington, DC. He trained in pediatrics at Babies Hospital and in psychiatry at New York Presbyterian Hospital and New York State Psychiatric Institute where he was Chief Resident (all at Columbia-Presbyterian Medical Center). He has done post-graduate training in trauma psychiatry, emergency management, disaster mental health, group therapy and psychoanalysis. He has an adult private psychiatric practice in Fort Lee, NJ and specializes in trauma psychiatry (posttraumatic stress disorders and other trauma-related disorders). He is recognized as one ofAmerica's Top Physicians and America's Top Psychiatrists, as a Top Doctor, New York Metro Area by Castle-Connelly, and as a New Jersey Top Doctor by Inside Jersey Magazine. Throughout her career, Sue O'Sullivan has been an advocate for safe and healthy communities and for increased services to victims. Ms. O'Sullivan began her distinguished career in policing in 1981, holding numerous leadership positions throughout her 30 years of service until retiring as Deputy Chief of Police (Ottawa). Continuing forward with her work, and drawing on her background and interest in assisting those affected by crime, Ms. O'Sullivan began an appointed term as Canada's Federal Ombudsman for Victims of Crime on August 16, 2010. She was renewed for a second three-year mandate in July 2013. During her time as Ombudsman, Ms. O'Sullivan has continually placed a strong emphasis on ensuring that victims' voices are heard at the federal level and has pushed for positive change for victims of crime in Canada, including making recommendations to the Government of Canada on legislative and policy amendments. Ms. O'Sullivan's passion for change and dedication to those she serves has been recognized on numerous occasions, including as recipient of the Queen's Golden and Diamond Jubilee Medals, the Police Exemplary Service Medal, la mèdaille "Vigilance et Loyautè - èchelon Chene d'argent - Suretè du Quebec", the 110th Anniversary of Scouts Canada Commemorative Centennial Medal and the YMCA-YWCA Women of Distinction Award. Ms. O'Sullivan was also appointed, by her Excellency the Governor General of Canada, as an Officer of the Order of Merit of the Police Forces (2006). Sue has a Bachelor of Arts in Law and Sociology with a subtitle in Criminology and Corrections (Carleton University) and is a graduate of the Police Leadership Program (OACP and the University of Toronto) and the Leadership in Counter Terrorism Program. Dr. M. Katherine Shear received a Bachelor's degree from the University of Chicago and an MD degree from Tufts University Medical College. She completed a residency in Internal Medicine at Mt. Sinai Hospital in New York City and a residency in Psychiatry at Payne Whitney Clinic Weill Cornell Medical Center. She is a diplomate of both the American Board of Internal Medicine and the American Board of Psychiatry and Neurology. Dr. Shear is the first clinical researcher to develop an efficacious treatment for complicated grief and her work in this area led to collaboration with New York State Office of Mental Health and FEMA in the response to the 9-11 World Trade Center attacks. She ran numerous trainings for Project Liberty counselors and developed a video to facilitate recognition of complicated grief as well as a Guidebook for a 10-session intervention that was adapted for the enhanced services initiative. 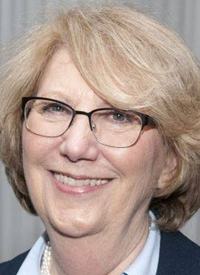 She is currently the Marion E. Kenworthy Professor of Psychiatry at Columbia School of Social Work and Columbia University College of Physicians and Surgeons and Director of the Center for Complicated Grief at the Columbia School of Social Work. Dr. Shear has spent nearly four decades researching and developing successful treatments for anxiety disorders, depression and complicated grief. She has published more than 300 peer-reviewed papers and book chapters and received more that $7 million in Federal grants including three large NIMH-funded studies of complicated grief treatment, an approach rooted in the empirical science of love. This treatment is strength-based and incorporates methods from other proven efficacious of psychotherapy to provide a short-term, focused approach to fostering adaptation to loss. She has been recognized internationally for her work in bereavement, including both research and clinical awards from the Association for Death Education and Counseling. She lectures widely, both nationally and internationally. She served on the Scientific Advisory Council of the American Foundation for Suicide Prevention and on the World Health Organization ICD11 workgroup for Mood and Anxiety Disorders. 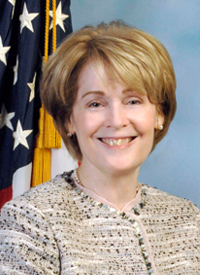 Kathryn M. Turman has served as the Assistant Director over the FBI's Office of Victim Assistance in Washington, D.C. since January 2002. She oversees assistance to victims of federal crimes across the FBI, including services to child victims, Native American victims, victims of domestic and international terrorism, and U.S. citizens who are taken hostage in foreign countries. For her innovation and leadership on behalf of victims she received the Edmund J. Randolph Award, the highest honor provided by the Department of Justice, in 2000. In 2001, she received the Attorney General's Award for Distinguished Service and the National Intelligence Meritorious Unit Citation from the Director of the Central Intelligence Agency for her work on the Pan Am 103/Lockerbie prosecution. Ms. Turman was a recipient of the National Crime Victims' Service Award in 2005 and 2013, and the Presidential Rank Award for Meritorious Service in 2007. 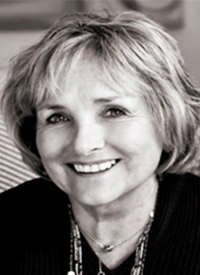 Maureen Underwood is a licensed clinical social worker and certified group psychotherapist with over 40 years of experience in mental health and crisis intervention. With a practice specialty in grief, trauma and crisis resolution for children and families, she has developed numerous programs and published extensively on these and other related topics. Actively involved in providing community-based psychosocial support to 9/11 families for over 10 years, she is the primary author of the "Going On After Loss" curriculum which provides a manualized model for addressing the needs of children and families impacted by traumatic loss events. 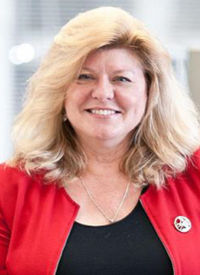 She is currently the clinical director of the Society for the Prevention of Teen Suicide, a national organization dedicated to public awareness about youth suicide for parents, educators, and students.